What's the Right Career for You? Perhaps the most difficult step is deciding exactly what you want to do. Are you an academic type who enjoys research and instruction, or an administrative or a clerical wiz? Maybe you prefer to get your hands dirty, in which case fieldwork is a much better fit. 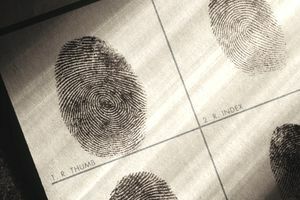 Within the scope of criminology and criminal justice, there are specialties within specialties. For example, investigators often focus on one particular type of crime, such as securities fraud. If you are good with numbers and mathematics, forensic accounting may hold your interest. Determining what your strengths are, and where those strengths intersect with your interests, will put you on the right footing to begin looking for the perfect place to start your criminology career. Once you've determined what you want to do, the next step is to begin to look into the qualifications and requirements for your chosen career path. The field of criminology and criminal justice has a wide range of job choices, with all levels of educational requirements. Whether you hold a high school diploma or a doctorate, there is a job opportunity for you. Many police departments only require a high school education or an associate degree to get your foot in the door as a police recruit. If you are pursuing a career in university research or teaching, or if you are interested in forensic psychology, a graduate degree will be required. There is plenty of career information available, with education and certification requirements, to help you find out exactly how you stack up and what you will need to do to reach your goals. Getting qualified for a job is one thing. Finding a job is something entirely different. The good news is that jobs in criminology are plentiful. Careers exist in all levels of government, as well as private companies. If you want a career with the government, a great first start is to the check the websites of the city, county or state you want to work in. Most state and local governments have an online job search function where you can search for your desired job classification throughout their various departments and agencies. You don't need to limit your search to governments. Private companies and corporations hire their own internal investigators and security guards, as well as document examiners, private investigators, and loss prevention specialists. Insurance companies have Special Investigative Units to look into potentially fraudulent claims. Many of these companies advertise on job sites. A comprehensive site that offers searches across most of the major job search engines is Indeed.com, which also allows you to narrow your search by desired salary and location. Of course, there's still nothing wrong with good old-fashioned footwork, either. You can visit your local courthouse, police station, sheriff's office, or state police post. You will often be able to find listings of current job openings there. Almost all of them will have applications on hand. Also, you may have the opportunity to speak to someone face to face about the job you are seeking and gain insight into the specific requirements for that particular company or government agency. Most police agencies employ recruiters, who are available for phone calls or visits if you have questions or are trying to decide where you want to work. You will also likely find recruiters at local job fairs. They are an excellent resource to give you information about the specifics of the job you're interested in. There are a number of resources available to assist you in all facets of your job search, from determining the right career path for you to finding and landing the job you've always wanted. Please feel free to use our site to help put you in the best position to achieve your goals.